AER LINGUS PASSENGERS will have to pay up to €60 for the return of lost property. Passengers who leave behind items like wallets, phones and laptops on board one of its aircraft, or in the Aer Lingus lounge at Dublin Airport, will now be charged between €20 and €60 for the search and return of the lost item. The service is provided through a third-party outfit called WeReturnIt, a Dublin-based company that also counts low-cost airline Norwegian and car rental firm Europcar as clients. WeReturnIt receives items from its so-called ‘lost property partners’. Lost property is stored for a period of 31 days, after which it may be binned or sold. Customers searching for a lost item complete an online form with flight information and a description of the property. WeReturnIt then checks if the item is in storage, confirms proof of ownership and ships it to its owner. The cost of using the service starts at €20 for the return of items like wallets, purses, glasses and passports. The return of a phone or bag costs €30 while a tablet device costs €40. Laptops are the most expensive item with a ‘find and return fee’ of €60. However, prices – which do not include VAT – may be higher depending on the weight and dimensions of the lost property. According to Aer Lingus’s website, customers must use the service “if you’ve left some property on board one of our aircraft or in our Aer Lingus lounge in Dublin Airport”. If they’ve left an item at an airport other than Dublin, they must contact the relevant airport authority’s lost property unit instead. In response to a query from Fora, an Aer Lingus spokeswoman said the airline introduced the service “to offer guests a more efficient system of retrieving any lost property items life behind”. “Working with a specialist partner in this area is designed to enhance the guest experience … Aer Lingus makes no money from this service, nor is it saving any cost, it is simply a means of increasing the quality of our service,” she said. Some airlines do not provide a lost property service. For example, Ryanair’s policy is that “your baggage is your responsibility” and customers must contact the lost property office at the relevant airport if they’ve left something on board. Dublin Airport charges a handling fee of €6 per returned item with additional postage fees if required. Note: This article was updated to include comment from Aer Lingus. Email “Aer Lingus passengers will have to pay up to €60 for the return of lost items”. 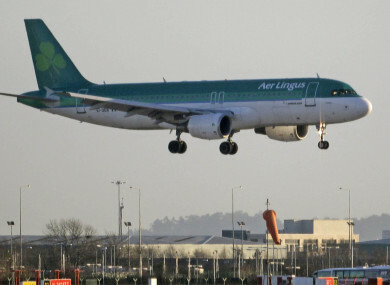 Feedback on “Aer Lingus passengers will have to pay up to €60 for the return of lost items”.